I am a slow learner when it comes to photography, so I have written this post for you to see what a difference F-Stops and external flash can make in your photos. I have taken photography classes at the local college and know enough just to be dangerous. I have taken baby steps in buying lenses and accessories. I own a Canon rebel EOS T3 camera. I also own a macro and telephoto lens. For quite a number of years I have been fairly satisfied with the photos I have taken. Recently, my son begged me to buy a new macro lens and external flash. I finally agreed and I have to say I am thankful I did. I bought a Canon compact macro lens EF, 50mm, f 2.5. Don’t panic, I will explain this.. 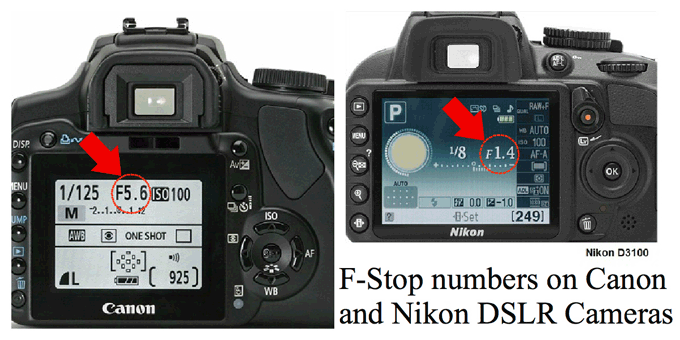 The f-stop measures the amount of light that is let through your lens. The bigger you make the holes, the smaller your f-stop number will be. F-stops measure the diameter of the aperture. 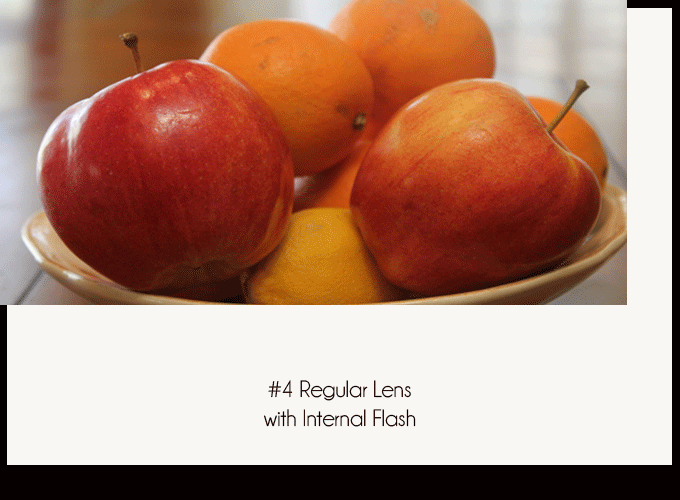 Photos taken with a low aperture(smaller f-stop) let more light in. 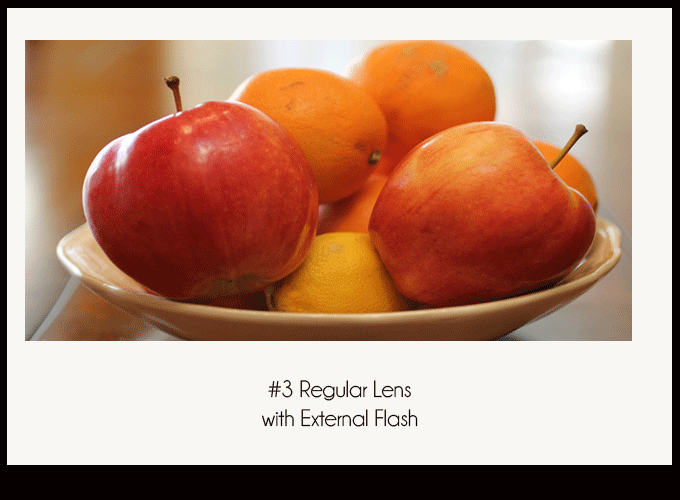 A low aperture will give you a shallow depth of field. This is what blurs the background in photos. 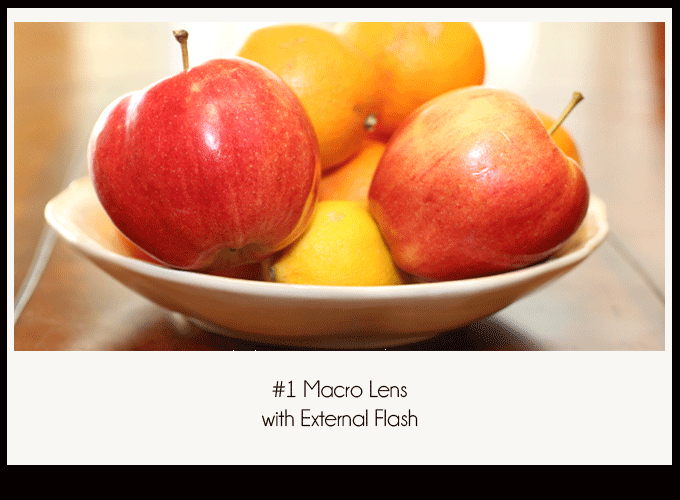 A low aperture is great to use for portraits or food photos. 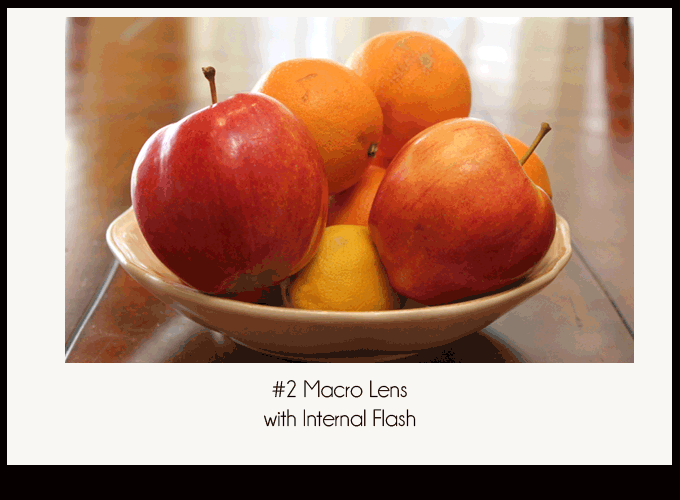 To change the f-stop, simply select the Aperture Priority Mode on your camera and set the aperture. I have included 4 photos below to give you an idea of what a difference lenses and flash can make. In the first two photos, I used the Canon compact macro lens, EF, 50mm, f 2.5. In the first photo, I used a Canon Speedlite 600EX-RT external flash. In the second photo, I used the camera’s built-in flash. In photo #3, I used a Canon EFS 18-55mm, F 5.6 and the external flash. As you can see, there is a huge difference between photo #1 and #3. 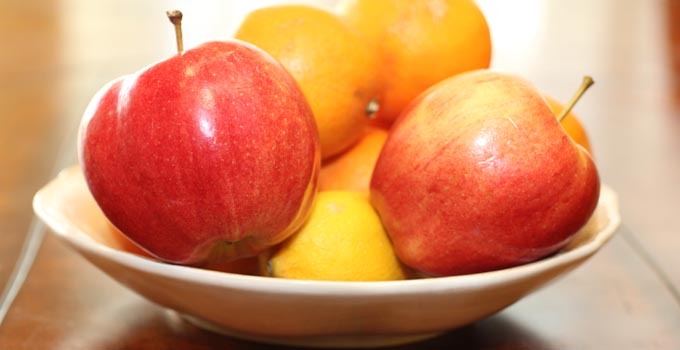 Photo #1 brings the fruit to life. In the last photo I used the Canon EFS 18-55mm, F 5.6 and internal flash. The external flash empowers you to dramatically improve photos. The external flash transforms everyday items into rich, photogenic imagery. I am thankful my son nudged me to buy the new lens and external flash. WOW! What a difference they make.